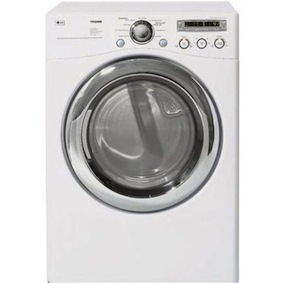 The Ultra Capacity dryer has electronic control panel equipped with the Dial-A-Cycle and a LED display. Monitor airflow and lint buildup with the FlowSense System, which informs you when to clean the air ducts. The Sensor Dry and Precise Temperature Control prevent the clothes from over-drying, lessening fabric damage. The Precise Temperature Control with Variable Heater dries clothes faster, while the built-in sensor shuts off the unit automatically once it detects that the garments are dry. Shorter drying time means less electricity consumed. Turn the dial to choose between Normal, Delicates, Heavy Duty and Wrinkle Care programs. The Ultra Delicates cycle is ideal for fragile materials, while the Rack Dry option is perfect for stuffed toys, sneakers and knitted sweaters. Different drying and temperature levels let you decide how dry or damp you want your clothes to come out. Drying times range from a 20-minute cycle to an hour. You can also opt to increase or decrease the drying time according to your preference. The drum is made of NeveRust Stainless steel and is equipped with a low-watt light. Made with heavy-duty transparent glass, the door is rimmed with chrome to add strength and style. The door is fully reversible and can be opened from both sides. The Electronic Control Panel allows you trouble-free program selection, while the LED display lets you monitor the status and remaining time of each cycle. The optional pedestal takes the strain off your back caused by bending. Save space by stacking the dryer on top of a companion washer. The stacking kit is sold separately. The stainless steel exterior cabinet is made more attractive with color. This model is available in two colors: White and Pearl Gray. It dry your clothes according to preference by choosing over its 5 drying levels. The control panel with Dial-A-Cycle knob is easy to understand and operate. With its Precision Temperature Control with Variable Heater, the unit dries your clothes more quickly. Clothes are kept from over-drying with the help of the Sensor Dry system. The innovative FlowSense technology tells you when the air ducts need cleaning. The End of Cycle alarm lets out a soft chime instead of an annoying buzzing sound. The dryer drum is made with NeveRust Stainless Steel. Small laundry area is not a problem with the dryerís reversible door. Dry shoes and toys without doing any damage by using the drying rack. Optional pedestal is available to prevent back strain due to bending when loading and unloading your clothes. Electric-heated dryers consume more energy . This model lacks some useful programs that the newer models have. The FlowSense System sometimes fail and give you false information.